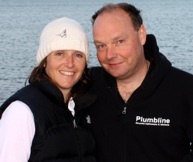 Plumbline - we are a local, family run, plumbing, heating and bathroom specialist business, established in 1999 by Jayson Ward. 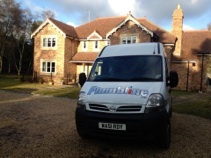 Plumbline is Gas Safe Registered enabling us to work on and install gas boilers and heating systems. We are City & Guilds Qualified, members of the Chartered Institute of Plumbing & Heating Engineers, a member of “Buy with Confidence” operated by Dorset County Council Trading Standards and Worcester Bosch Accredited offering a 7 year guarantee on Worcester boiler installations. We are based in Bere Regis, Wareham and work throughout the Purbecks, Swanage, Wimborne, Wool, Dorchester, surrounding areas and remote villages. It is our aim to offer ALL our customers a high quality, personal service tailored to their individual needs. It is our aim to be one of the best, qualified plumbing services in our area, by providing YOU with a professional, fast, reliable, trustworthy and efficient service using only top quality products, fitted by a skilled, qualified, reliable and insured team. We pride ourselves on our reputation and value all our clients. We are passionate about our work ensuring a finished product of the highest standard. It is our aim to arrive on time, be smart, polite, respect you and your property, complete the work to your satisfaction and tidy up after ourselves.